Make a wish and blow! Pull the tab on this cute cupcake, and the candle goes out. 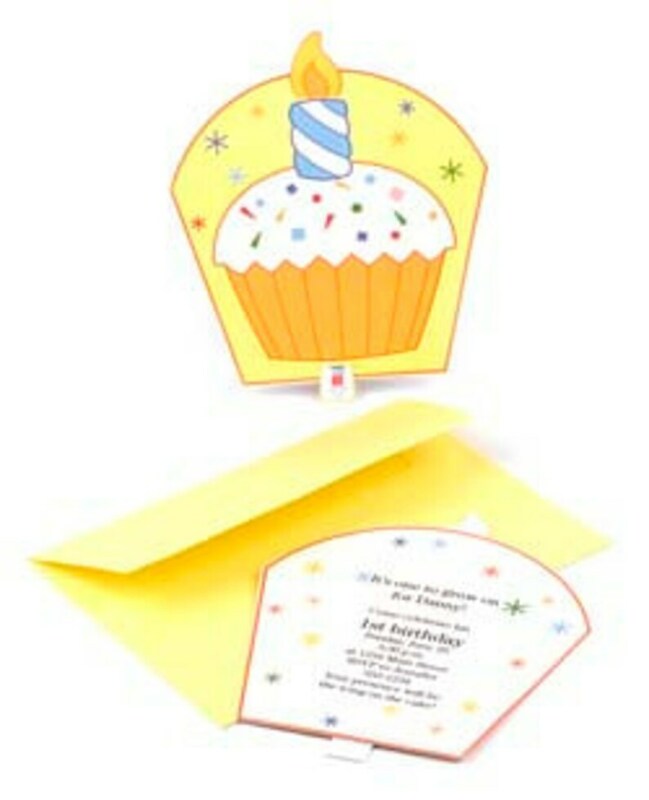 A fun, interactive invitation if you're throwing a birthday party. Or a delightful card to make if you just want to wish someone a very happy day. 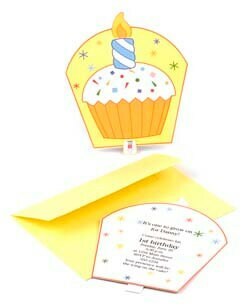 The cupcake card has room to print party details or write a note on the back. The matching Thank You card has room for a photo of the birthday kid or party guest, plus the candle name tag is great for goodie bags. This listing is for an “Eti-Kit”—a DIY kit that comes with software to easily print on the card so you don't have to hand write them all yourself! Includes all materials: pre-printed paper, CD with instructions and printing template, and envelopes. Makes 10 invitations and thank you cards. Great project to make with big brothers and sisters! Need more than 10? Just want a PDF to print your own? Contact me via Etsy. Printable PDF is $5.